Some of the union’s conditions are that the city doesn’t lay off any firefighters and that its members will get the same financial incentives that police officers would receive. 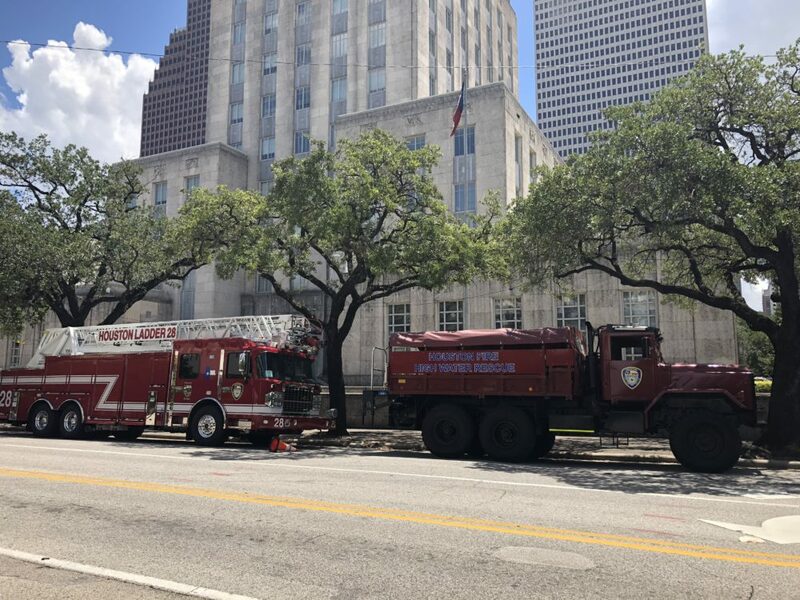 HFD fire trucks parked at Houston City Hall in August, 2018. 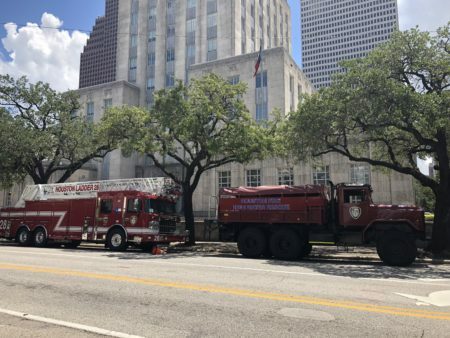 The Houston Professional Fire Fighters Union tentatively agreed on Friday to Mayor Sylvester Turner’s proposal to implement voter-mandated pay raises over three and a half years, but only under certain conditions. 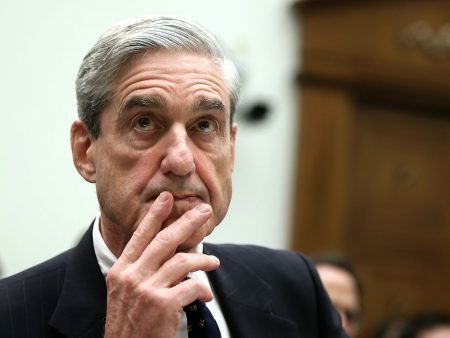 Proposition B, which voters approved last November, requires the city to compensate police officers and firefighters equally on a rank-by-rank basis. HPFFA President Patrick ‘Marty’ Lancton met with Turner and gave him a letter saying the union would agree to a phased in plan for raises if the city doesn’t lay off any firefighters. They also want to avoid any reduction of fire and EMS services. The union also wants a guarantee that HPFFA members would get the same financial incentives that police officers would receive, and demands the city open its books so union officials can see exactly how budget and financial calculations are made. Lancton’s letter also says the union members would have to ratify the agreement. Erin Powers, a spokesman for the HPFFA, said the union would need a response from the city in writing to present to its members. After their in-person meeting, Turner responded to Lancton’s proposal also through a letter. The mayor said the union president’s letter “is not consistent with our discussions” but stated he’s prepared to meet again with Lancton next week. The implementation of pay parity between the local police and fire departments is now time sensitive because the Houston City Council may vote next week on a plan to lay off 220 firefighters. Last week, Fire Chief Samuel Peña sent the first layoff notifications to approximately 70 firefighter cadets. The last day of employment for those who have received the letter would be June 7. 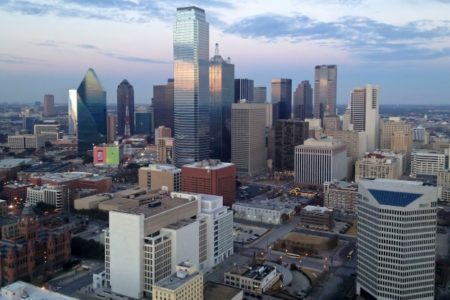 The City of Houston estimates Prop B represents a 29 percent raise for firefighters, and the Turner Administration has said the cumulative cost would amount to $307 million from fiscal year 2019 to fiscal year 2023.